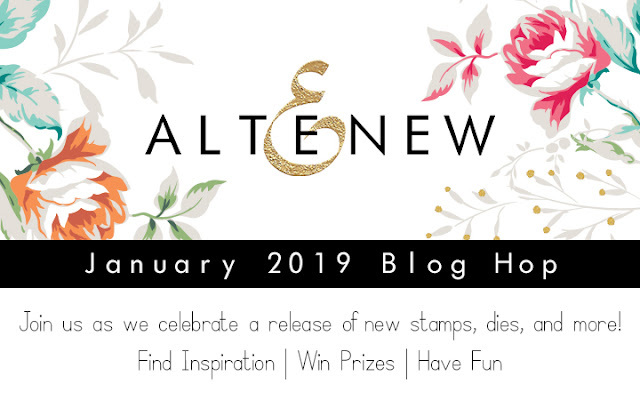 Yay, it's January Release Blog Hop from Altenew! I am super excited to share 4 projects with you. If you arrive from the blog of Seeka, you are in the right place! First up, let's start with something classy and elegant. I didn't expect these two sets work so well together, but they do! The lace stamp is so intricate and gorgeous! The Stain Glass stamp set is very thoughtfully-designed. Isn't the stain glass image amazing? I silver-embossed the outline 3 times. Therefore, you see the very prominent silver edges. As for the frame, I stamped the delicate frame in Turquoise and then dry-embossed it with the die and tan embossing mat. This creates a very subtle letter press effect. I also added a few droplets of Nuvo and sequins. VERY classy, huh? Isn't this die absolutely divine!? I love stretching the use of dies. So like my previous project, I dry-embossed the heart (with the tan embossing mat) to add extra textures. How does that piece of red-ish die cut come about? I sprayed Altenew's Ink Spray to create rich and vibrant paper. Once dry, I made the die cut and adhered it to the black card stock. This design is fabulous for all occasions. All you need is to change up the sentiment. Again, I started out by creating a colorful paper with Watercolor Brush Markers. I then made the die cut and popped two gold hearts back in and one in the center. It really is easy yet so effective! Altenew's Gold Foil Card stock is amazing. I highly recommend it. The cover die is so neat that you can fit every piece back like a puzzle. Speaking of puzzle, wouldn't it be cool to send the extra heart pieces along with the card, so the receiver will get to play with the puzzle? This is one amazing set. The stencil is so thin that it will not leave you a white edge while stamping. This gorgeous set is a must-have if you love stamping techniques! The masked stencil, die are amazing arsenal when creating intricate and detailed designs. I started out in stamping the large bloom and colored it with Altenew Artist Markers (Set E). With the positive mask, I covered the large flower and stamped the smaller flowers. While doing that, I inked up the background with Citrus Lemon and Feeling Dotty Stencil. I finished it off with the sentiment with Golden Edge Washi Tape. What do you think? I love love this set and I hope that you do, too! I also want to mention that if you love many items of this new release, you must check out my future posts! Here is what's coming up next. Prizes: to celebrate this release, Altenew is giving away a $50 gift certificate to 6 lucky winners. 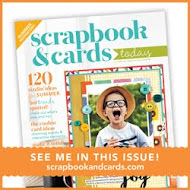 Please leave a comment on the Altenew Card Blog and/or Altenew Scrapbook Blog by Thursday, 1/31/2019 for a chance to win! 6 winners will be announced on Altenew blogs on 2/3/2019. 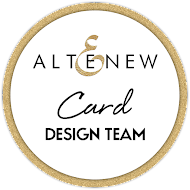 Giveaway: please leave me a comment (and tell me your favorite project/stamp/die) in this very post for chance to win a Altenew $30 Gift certificate. 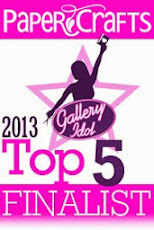 The winner will be announced on Jan. 28th right here in this blog. I will be back with more NEW creation with this release. I hope that you come back to check them out. Your next stop is the lovely blog of Reiko Tsuchida. 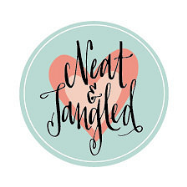 I am loving this release, and it's hard to pick a single favorite, but the radial heart die is amazing. Virginia, I always giggle when I read "warning - supper heavy photo post" like THAT's going to make us stop! You've done it again, my friend … gorgeous creations! you had me with all your teasing on IG this week!! Floral heart frame die and radial hearts cover die are my fave in this release. Love the stunning cards you have made. Your cards are all so pretty. I have to say I love seeing the zodiac constellation set, really unique! 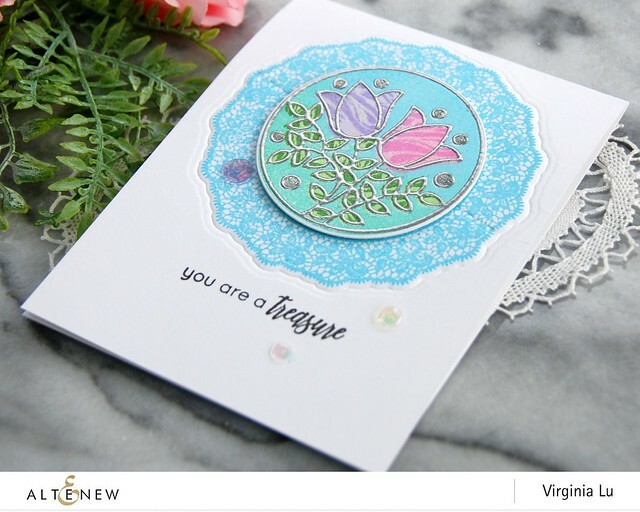 I love them all... but my favorite creation by you today is the one with the Floral Heart Frame die. 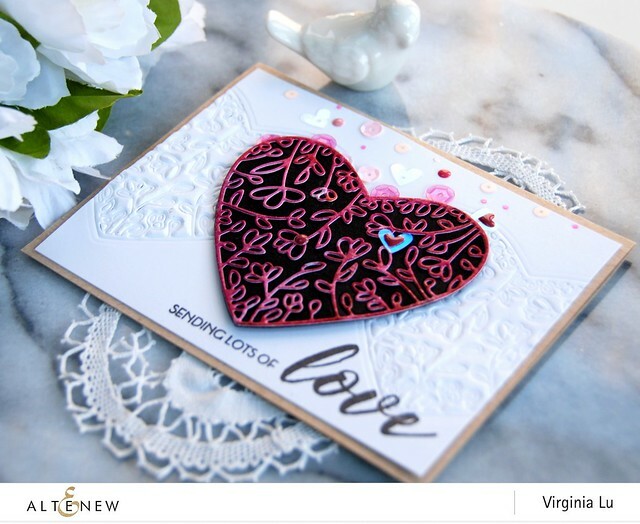 I love the way you did the dry embossing on the bg and the popped up the center heart die cut. Really pretty! Beautiful cards! The Floral Heart Frame Die is my favorite! 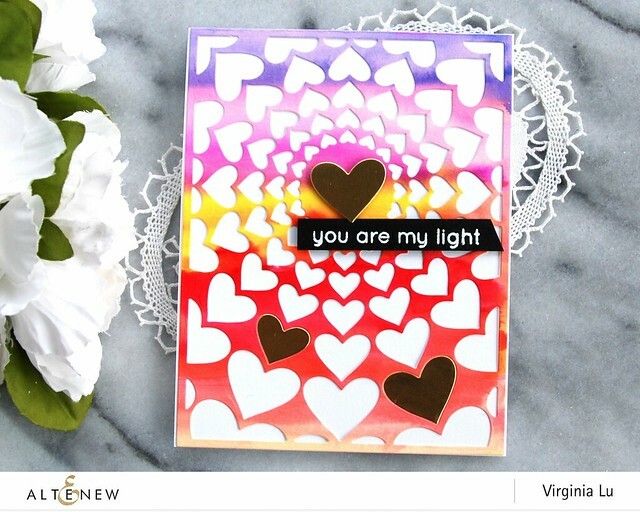 They are all amazing.. Love the stained glass The die cut heat and the heart cover die . They are all ectra amazing. But the wonderland one is beyond amazing . Can't wait to see the sneaked one.. Looks fabulous . WOW your cards are stunning - LOVE the first card - so elegant!! WOW!! LOVE your Stain Glass Tulips!!! So stunning! Your other cards are gorgeous! Set and the Fancy Frames Stamps. Your 1st card is my favorite-just lovely! Wonderful release! 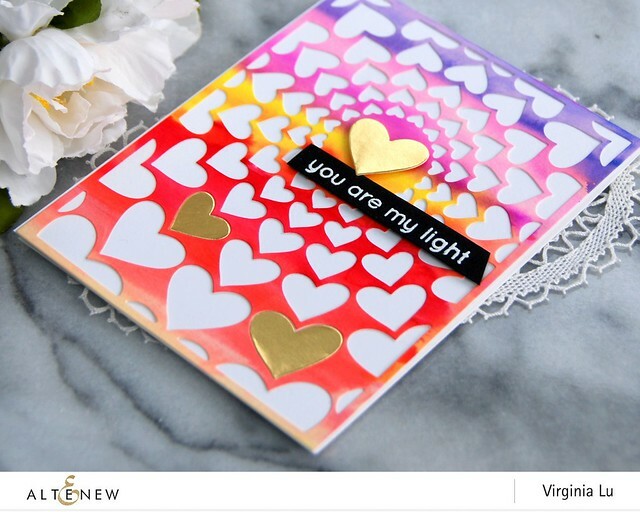 I love the new radial hearts cover plate, but your first card is my favorite of your projects, Virginia! Oh my but the red on black heart is stunning! All kinds of fabulous things to work with here but I do adore so many of yours today. I absolutely love all of your cards. They are so intricate and fun. So many vibrant colors and styles. Wonderful creations! Yes! I love all your cards. The Wonderland stamp set is hands down my favorite (I love watercoloring, so your card is wonderful), though your sneak peek from the Hibiscus 3D set is also among my top 5! The stained glass set is also high on my list, as is the Radial Hearts Cover die. There is a lot to love in this release! 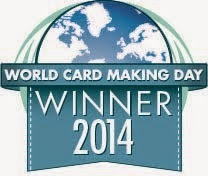 Your cards look fabulous. Thanks for sharing. I'm not sure what I love most about this release, the Wonderland stamp set is beautiful and your card is lovely Virginia! I also think the mini stamp sets are beautiful so they are already on my wish list. 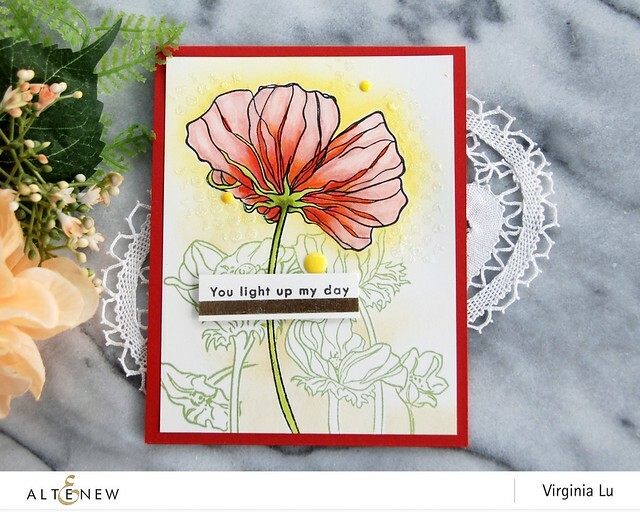 The radiant Heart die is my favorite Virginia , great job ! You have some real stunners that you've made with this release. All that dry embossing makes me swoon and I love the idea of sending the loose hearts from the cover die so the recipient can puzzle in the pieces. You're a genius. Just so you know, I've gone over to shop. Beautiful cards!! I love them all. Thank you for sharing, and inspiring!! Gorgeous projects!!! Love the Wonderland set!! Look forward to seeing what you created with the 3D Hibiscus!! Fabulous cards - I love your Stained Glass card - love the silver embossing, it really gives that stained glass look with that bit of shine and dimension. But I also love the second card with the contrast of the red detail of the die cut on the black backgrouund - very dramatic! I really love how you colored the flower on the last card, so pretty. Such beautiful cards!! Thank you for the inspiration. Wow! They all looks so pretty. I love this release and what you have done here! Beautiful work, Virginia! I love all the inspiration for this release. Wonderful cards! 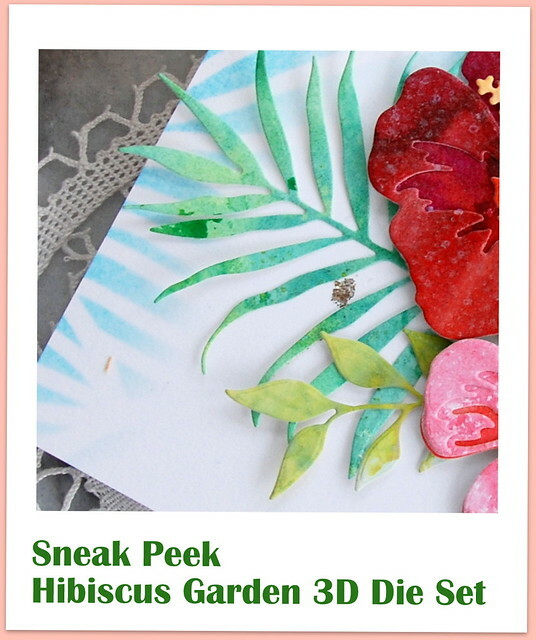 My favorite and my favorite image in the release is the Wonderland stamp set, but I see the hibiscus 3D die cut peeking out of your upcoming post and that's a winner, too! Really beautiful cards! I love them! 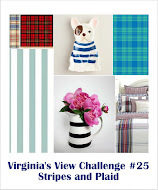 Love all your designs Virginia! It is hard to pick a favorite product or project as this hop has been full of amazing ideas. I must say my favorite is the radiating heart cover die and your last card! Thanks for the inspiration! Have a wonderful day! Very pretty card samples today.....thank you so much for sharing them. Great new release! These are ALL SOOOO GORGEOUS! My favorite is the radiating heart die! It's sooooo cool! 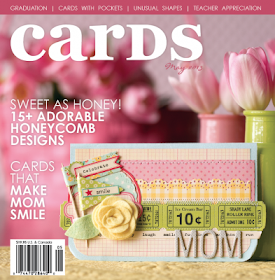 Very pretty cards--love what you have done with all the stamps and dies. I love all of your cards. The red on black valentine card is lovely, but I especially love the Wonderland card. Your creations are stunning! But that Wonderland set... wow! My favorite includes the Wonderland stamp set because that's my favorite from the whole release! You've showcased some of the products from this mega release so wonderfully Virginia. 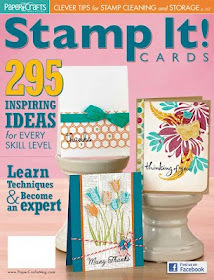 I have to say the Wonderland stamp set, dies & Mask Stencil are my top picks & I really like the card you made with it. My fave is the black heart because of how you sprayed the overlay paper to get the color you wanted. I have never thought to spray a paper to change it's color. I've only thought of sprays for misting or droplets. It's such an obvious choice now that you've introduced it to me! Beautiful cards love this release. Always love your work, Virginia! 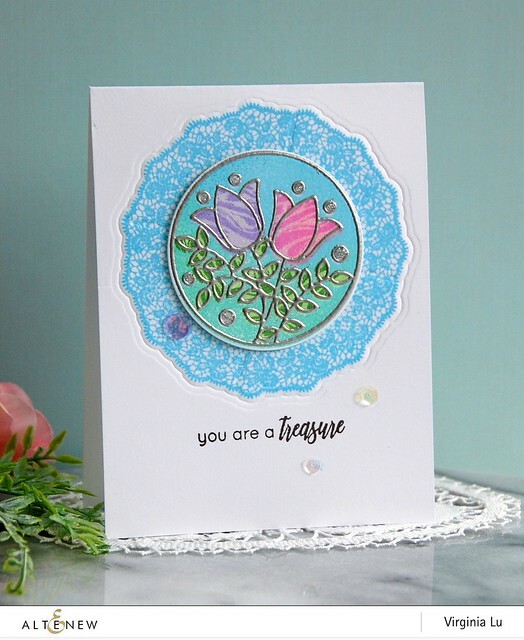 Love those beautiful dies and flowers and your cards are beautiful. My favorite from the release is all the zodiac set. I also loved the stained glass set. This is such a gorgeous release! 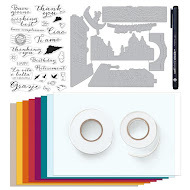 I am especially loving that card with the Wonderland stamp/stencil set, so stunning! All your cards are lovely & the hearts are so timely. My favorite is the Wonderland set. Not only do I love the flowing lines in the flowers, it is nice to have pre-cut masks. You never fail to amaze me with your cards :) Absolutely gorgeous! Thanks for the inspiration!!! All of your creations are amazing but the rainbow hearts are just wow! Thank you for the inspiration!!! Beautiful cards, Virginia! 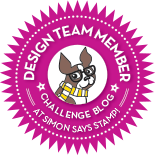 Love your designs and the colors you used. I love the card made with the Wonderland Stamp Die and Mask Stencil Bundle and am looking forward to how you use the Hibiscus die set. Beautiful cards, love all the hearts, flowers and wonderful designs! Beautiful cards Virginia. I love the different cards your created using the heart dies. Your many examples using the new Altenew product line really inspired me. Beautiful projects! I love the designs and colors! This is such a great release everything is gorgeous! Your cards are all just gorgeous as always Virginia! Thanks so much for sharing and inspiring us! Looking forward to seeing the next instalment! WOW Virginia, these are all amazing and I want ALL of these products. However, that is not about to happen so if I have to choose one from this post I would have to go with the Stained Glass set, it is so gorgeous! Your cards are all amazing, Virginia! My favorite is the heart cover die; just love it. Thanks for the inspiration. Gorgeous... each and every one. My favorites tho are the Floral Heart Frame card... love all the texture and the stunning red on black central heart, and the Radial Heart card... the burst of colors is phenomenal!! TFS your inspiration with the new release products. What a nice variety of cards. I love the fancy frames!!! These are all great cards. I like the simple method of using markers to colour your radial hearts cover. Can't wait to see the hibiscus 3D...my fav so far. Awesome Release! 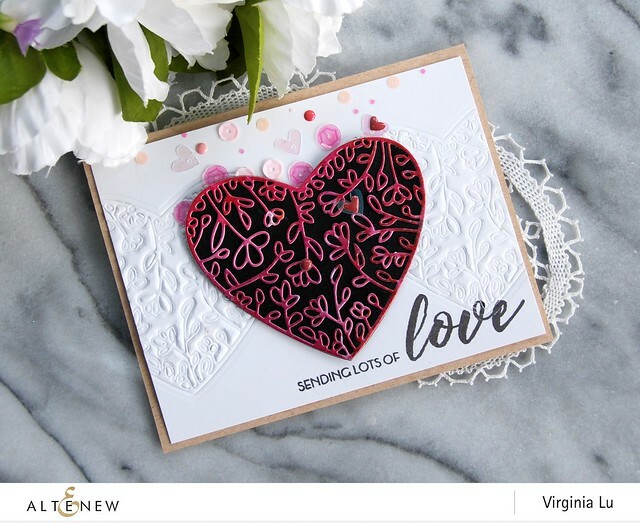 Great projects, I especially love the pink on black Floral Heart Frame card! How gorgeous are these?! Love them all, Virginia, although the last two must be my favourites, for sure! This release is yet again a great one (how do Altenew do it?! ), but what stands out to me this time are the 3D dies - so cool and different, I love how these flowers just pop off the front card panels! I'll need to get my hands on a set or two! My favorite is the red floral heart die. All your examples are gorgeous. I adore your FUTURE post Virginia! Love hibiscus!! I can see so many beautiful projects done with these sets! Your cards are beautiful as always. I simply love the new Altenew products! Thanks for the chance of winning. Oh how I love that radial hearts cover plate - it's so cheery. What made me smile most in your post though, was the die cut heart and its exploding sequins! So many gorgeous stamps and dies in this release!!!! My favorite is the Wonderland stamp and the masking stencils!!! 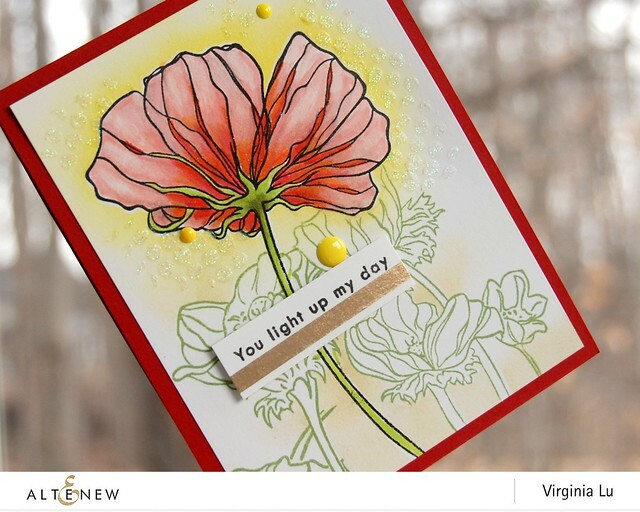 Can't wait to try them out :-) Thanks for sharing your beautiful cards, Virginia! So much inspiration!!!! I love how you used the wonderland stamp! Really beautiful and my favorite. 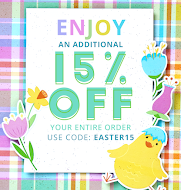 as always, such lovely cards, Virginia! Love the look of all your cards. Very creative. Thanks for the great ideas. Beautiful cards. My fave is the first one with the stained glass look. So hard to choose! 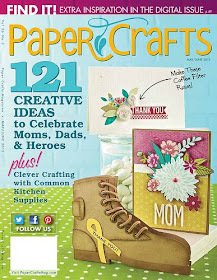 I really like how you used the radial cover die, with your own watercoloured paper and the gold hearts - lovely! 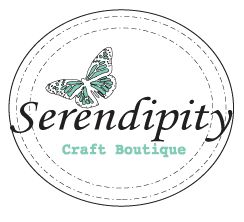 Loving all your beautiful creations! Your cards are so beautiful. Thank you so much for sharing you talent with all of us. These blogs are so cool. I learn so much from them! Thanks Again! You did an amazing job with the products you used. And I agree, the Fancy Frame and Stained Gluass do work very well together. And I love your idea of including the hearts from the Radial Heart Cover Die along with the card.... For a puzzle effect. I know my Great Niece would get a huge kick out of that. Thank you for the idea. 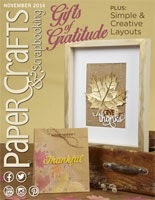 I love what you created using the Wonderland Stamp & Die Bundle. Your cards are stunning! Beautiful cards! I love the sending lots of love card! Absolutely gorgeous cards! I love Wonderland stamp set and the heart dies. I am loving the card with the Wonderland stamp set. Very lovely. Thanks for sharing! Gorgeous cards! my favorite is the second card with the Floral Heart Frame Die. I love how you dry-embossed the heart to add extra texture. Thanks for the inspiration. Beautiful cards, my favorite is the Wonderland flower one - I love that you used the mask stencils for some of the flowers, awesome look! The radial heard die cut background is so eye catching as well. Thanks for sharing your amazing talents. Beautiful cards and love all of your color stories. Gorgeous new release!! Your cards are incredible and I love them all, Virginia. But I am in LOVE with your last card using the Wonderland Stamp, Die and Mask set. It's going on my wish list. Wow, amazing cards. Gorgeous and wildly creative - simply fantastic! Your cards are really beautiful and I love how you created the stained glass one! The multiple layers of silver embossing powder makes it look like real stained glass. 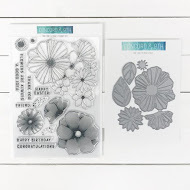 My favorites from this release are the Dainty Bouquet and Angelique stamp and die sets. I love all of your cards. They are all so gorgeous!! My favorite of the release is the Hibiscus die set and the Wonderland stamp set. Oh your cards are just beautiful Virginia!! Thank you for sharing your cool designs!!! 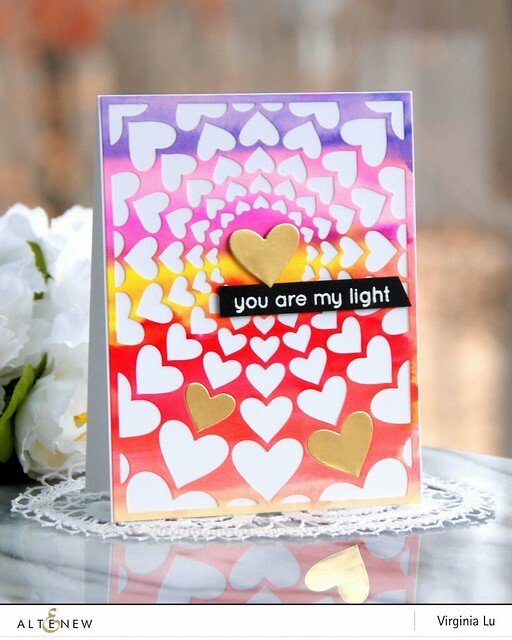 You are my light card is beautiful. I love the endless hearts. It is happy and full of color. I always love your creations. Love the beautiful cards. They are gorgeous. My favourites are the last two. I adore the beautiful colours. Amazing projects. I love the delicate Floral Heart Frame die. My favorite is the radial cover die, but it’s hard to choose! Love the emboss and deboss of the heart dies! Super inspiring! The cards you have designed for the new release are so pretty, but the one which jumps out at me is the one with the Floral Heart frame die. The red paper you made is gorgeous and the die cut is amazing. The dry embossing adds a lot of texture behind the die cut and the sequins at such a sparkly touch. It truly is a pretty card!! really luv the inspiration using the stained glass window! Wow so pretty-love the colors on all your projects!! Thanks for sharing! So many gorgeous projects in one post! The radial heart cover die...oh my! My favorite from this January release is the Hibiscus Garden set! I just love the layering dies! It's so hard to choose a favorite but I really love the Wonderland stamp set and your card using it. TFS! Thank you for sharing your creativity! I love this new release! Beautiful examples of the new release! 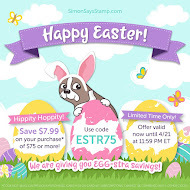 I especially love the Wonderland stamp set - it's so pretty! Thanks for all the inspiration! I like all that you created with this release! 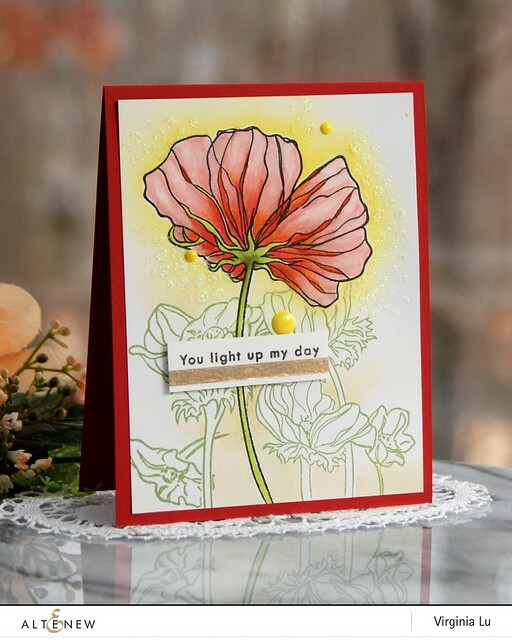 Eager to see your card with the Hibiscus Garden 3D Dies! Thank you, Virginia! Oh my word, you have been busy woman!!! 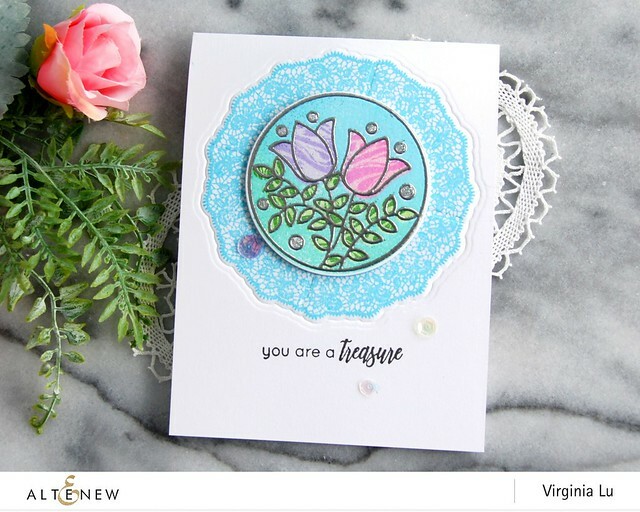 Gorgeous cards.....Loved the way you combined the Lace with the Stained Glass....such a pretty combination...and the use of the Floral Heart ...using it as an embossed image on the background....oh so pretty...thank you so much for sharing your work. Beautiful cards! 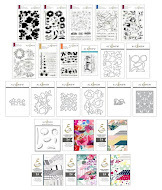 I love anything with hearts on it, but my absolute favorites are the Radial Hearts Cover Die, the Wonderland set, and the Angelique Motif set. I love the cards you made with the cover die and the wonderland set! Thank you for so much inspiration! Beautiful! Love how you framed that stained glass with the lace!! Lovely cards! I especially like the wonderland flower card. That is probably my favorite stamp set of this release. Thanks for sharing! Thank you for sharing these spectacular cards Virginia! 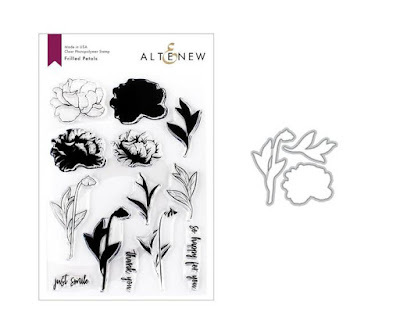 My favorite new product from the Altenew release has to be the Wonderland stamp and die set. It is just so gorgeous! So many beautiful creations but my favorite is what you made using the Wonderland Stamp Set, Die and Mask Bundle. I love how you made the focal point flower in the front colorful and the ones in the background were just the outline.